Cooking potatoes with cream, butter, and garlic, makes these potatoes insanely creamy. Then finish them with gooey Swiss cheese, plus lemon zest and parsley, for a side dish that's sure to stay on constant rotation. Bake the potatoes covered for the first hour so moisture circulates and cooks them through. Test them for doneness by piercing with a fork or skewer. Preheat oven to 375°. Coat a 3-qt. baking dish with nonstick spray. Combine cream, butter, garlic, and salt; season with pepper. Place potatoes in prepared dish and pour cream mixture over top. Cover baking dish with foil and bake 1 hour. 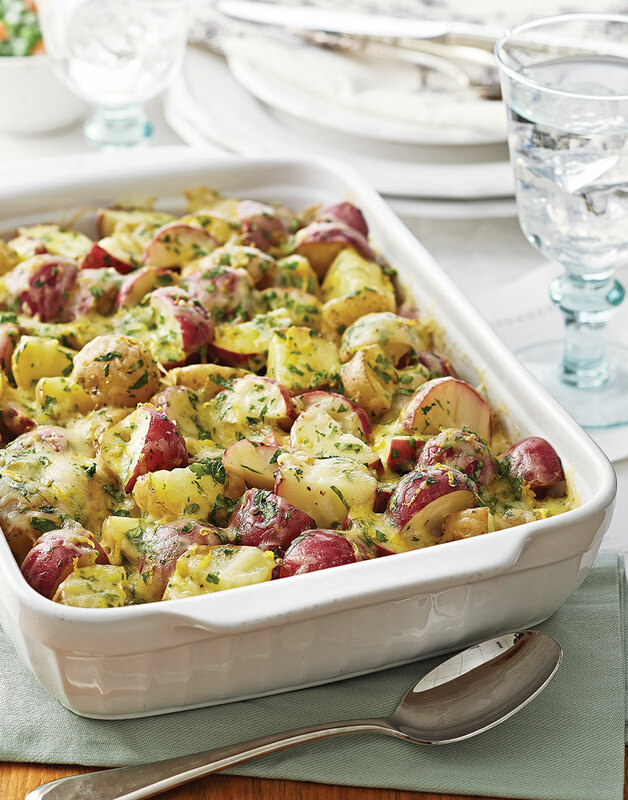 Combine cheese, zest, and parsley; sprinkle over potatoes and bake, uncovered, 5 minutes. Let potatoes sit 5 minutes before serving. Some of the potatoes may be larger than others. Just be sure to cut them all into same-sized pieces so they cook uniformly.